Students are introduced to various cooking and baking techniques and the qualitative aspects of food preparation, including sanitation, identification of products, purchasing and cost control. During the second semester, students will do an internship, participating in actual public food service operations in preparation for their future careers. 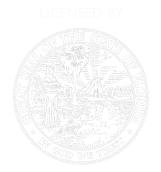 Possible sites include the Institute´s own restaurant L´Ecole or operated practicum educational facilities, hotels, restaurants, country clubs, resorts, casinos, spas and food service providers. 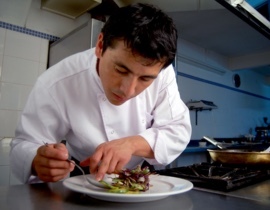 Upon completion of the Certificate in Culinary Arts, students will be prepared and qualified to enter the food service industry or to pursue an Associate of Applied Science Degree in Culinary Arts furthering their educational goals and career opportunities. All credits obtained during the certificate program will be transferred towards their following degree. The focus of the first-year culinary lab classes is development and practice of cooking and baking skills, complemented with the qualitative aspects of food preparation, including sanitation, identification of products, purchasing and cost control, nutrition and sensory analysis. In addition to this curriculum the students will learn dining room procedures, etiquette and communication skills in order to cultivate and master the art of serving and presenting their creations. 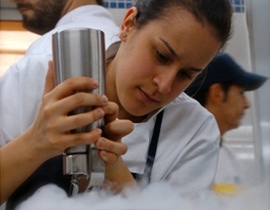 The second year focuses on courses emphasizing on advanced techniques in food and pastry production and presentation. 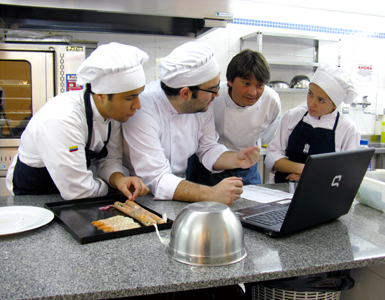 Courses provide students with the necessary knowledge in menu creation and implementation, food and beverage control, bar tending and management techniques. Students will explore the cultural and historical influences that have affected modern cuisine. During the second semester, students will do an internship, participating in actual public food service operations in preparation for their future careers. Possible sites include the Institute´s own restaurant L´Ecole or operated practicum educational facilities, hotels, restaurants, country clubs, resorts, casinos, spas and food service providers. General Education, an important aspect of higher learning and a valuable asset in today´s highly competitive world, is represented by general education coursework designed to ensure that students have the cognitive abilities crucial to their success in the workplace. The focus of this program is to cross train students in cooking and baking and to introduce student to skills and techniques that will give them the greatest flexibility in the job market and future promotions. After completion of the Associate of Applied Science Degree in Culinary Arts students are welcome to take the American Culinary Federation examination in Cooking and Baking to achieve the level of certified Cook and or Baker. This program includes hands-on teaching of techniques such as different pastry dough elaborations, basic pastry creams, basic cake production and bread production. As students grow more confident, they build up on skills they have mastered in earlier classes to create increasingly complex cakes and desserts dishes and eventually, full dessert menus. The program is complemented with qualitative aspects of food preparation, including sanitation, identification of products, purchasing and cost control. The Institute offers a comprehensive sequential course of study of the baking and pastry arts fundamentals needed to enter the industry in entry to mid-level positions. During the second semester, students will do an internship, participating in actual public food service operations in preparation for their future careers. Possible sites include the Institute own restaurant L´Ecole or operated practicum educational facilities, hotels, restaurants, country clubs, resorts, casinos, spas and food service providers. Upon completion of the Certificate in Pâtisserie and Baking, students will be prepared and qualified to enter the foodservice industry or to pursue an Associate of Applied Science Degree in Pâtisserie and Baking, furthering their educational goals and career opportunities. All credits obtained during the certificate program will be transferred towards their following degree. On the first year of the program, students will create pastry dough elaborations, basic pastry creams, basic cake production and bread production. As students grow more confident, they build up on skills they have mastered in earlier classes to create increasingly complex cakes and desserts dishes and eventually, full dessert menus. During the second year, students will develop their artistry creating sugar and chocolate confections, special cakes, showpieces for competitions and events and finally exploring the vanguard trend of different parts of the world. The completion of the program will culminate with an internship, participating in actual public food service operations in preparation for their future careers. Possible sites include the Institutes own restaurant L'Ecole or operated practicum educational facilities, hotels, restaurants, country clubs, resorts, casinos, spas and food service providers. General Education, an important aspect of higher learning and a valuable asset in today's highly competitive world, is represented by general education coursework designed to ensure that students have the cognitive abilities crucial to their success in the workplace. The focus of this program is to cross train students in the art of pâtisserie and baking, introducing students to skills and techniques that will give them the greatest flexibility in the job market and future promotions. This program prepares students for entry to mid-level employment opportunities in the professional food service industry and management areas including pastry chef, assistant pastry chef, retail cake decorator, retail pastry chef and baker. After completion of the degree in Professional Baking and Pastry, students are welcome to take the American Culinary Federations Certified Baking Examination. Applications submitted by mail should include a check or money order payable to Mariano Moreno Culinary Institute LLC. Do not mail cash. If you cannot attend a class you booked and you notify the school 24-hours prior to the schedule class, you will receive a credit for the total amount of your purchase to be used for another class. If you don’t show for the class and don’t notify the school, a no-show fee of $20 dollars will be charged and only a $40 credit will be provided. Credits are non-transferable and valid for 90 days. These tasty and crispy sweet egg white foam has a reputation for difficulty.. But in just 3 hours our chef will show you a few simple instructions that just won’t fail. 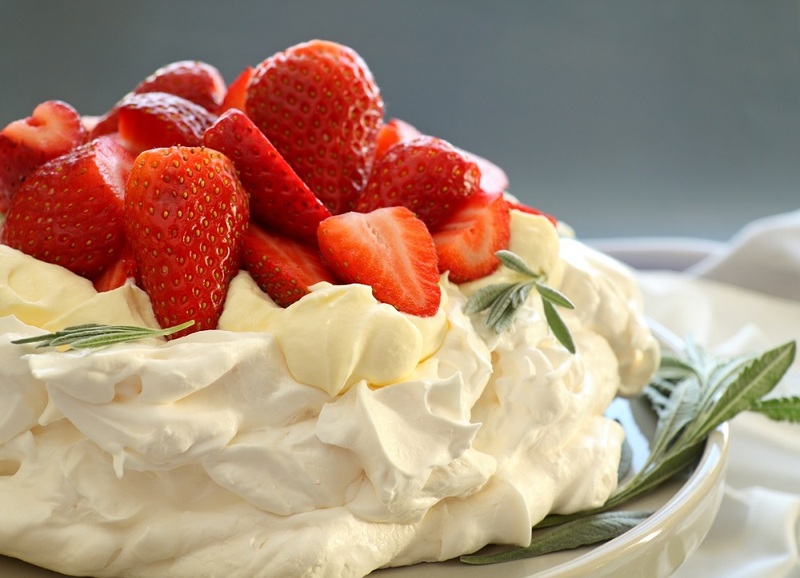 You’ll be making mouthwatering meringues and delicious desserts like the famous pavlova or meringues shells and learn the difference between italian, french and swiss meringue. You’ll master a technique that can be use in any dessert and amaze everybody with your baking. 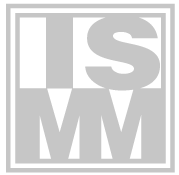 Copyright © 2019 ISMM. All Rights Reserved.